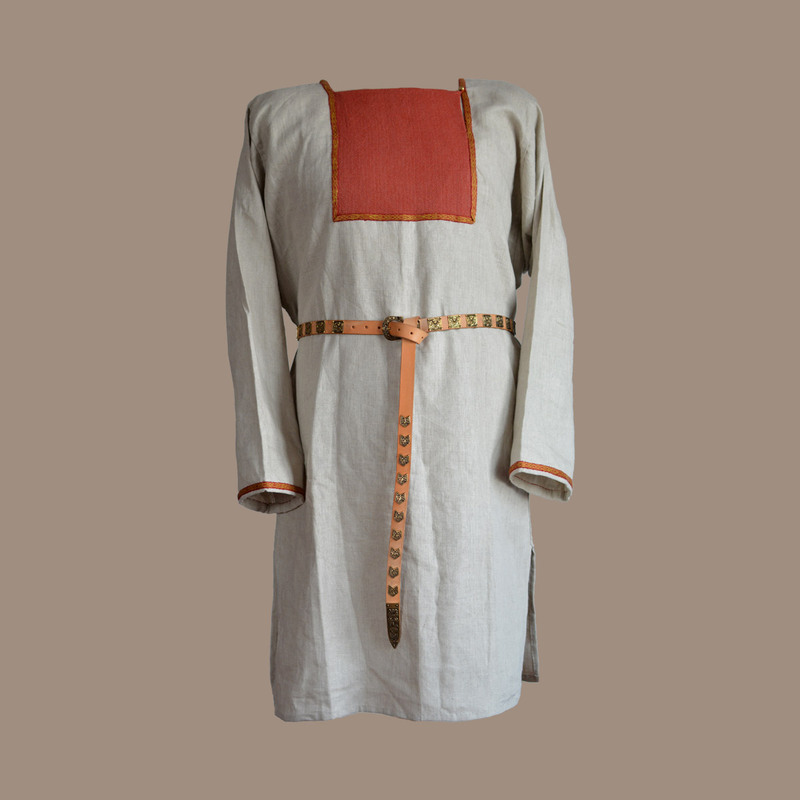 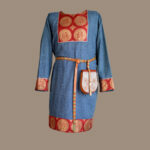 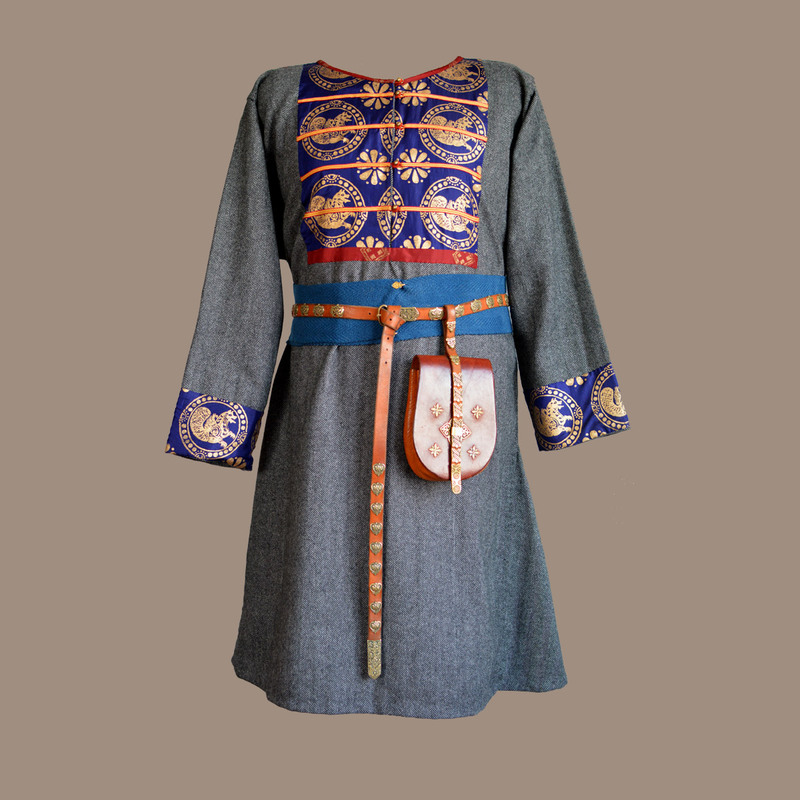 Chernihiv Tunic – Kievian Rus – Varangian style Tunic. 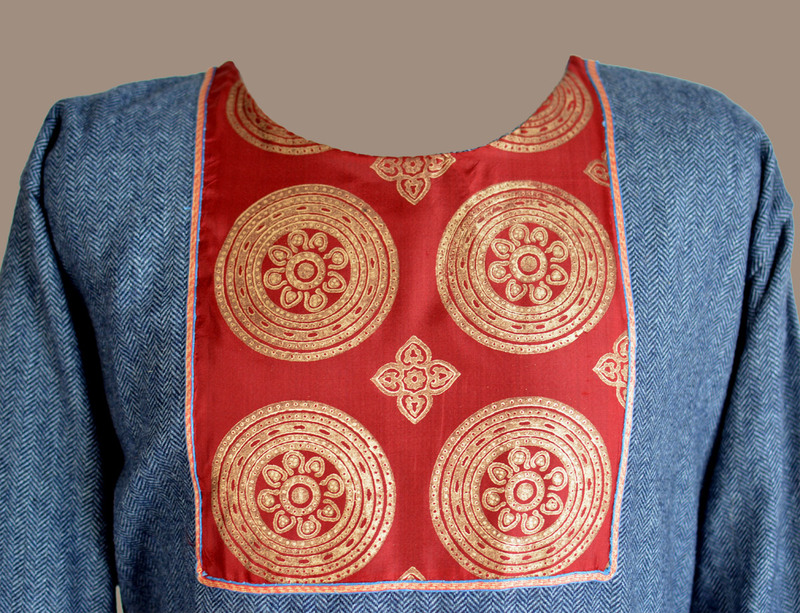 Tablet/Card Woven Silk Braid. 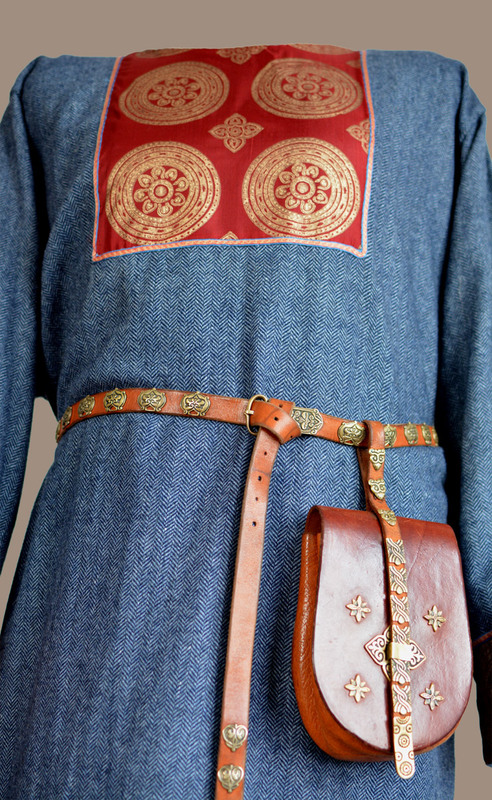 Herringbone Twill Wool. 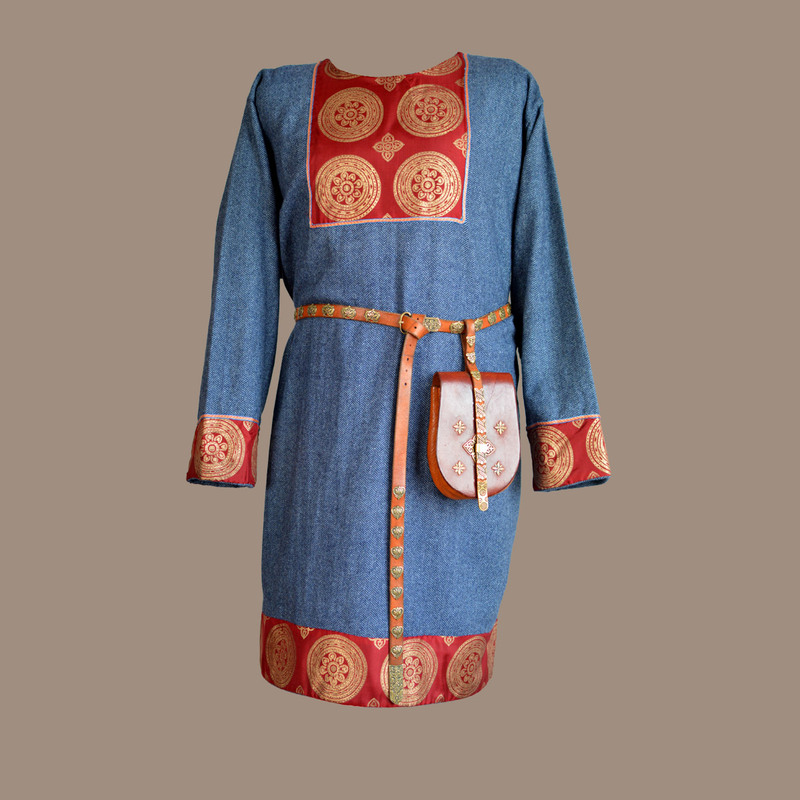 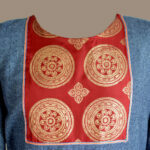 Hand Block Printed Silk based on find from Chernihiv. 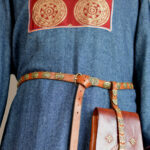 Belt and Pouch not included in a price.